The 36" Round Log Coffee Table is great for intimate gatherings. 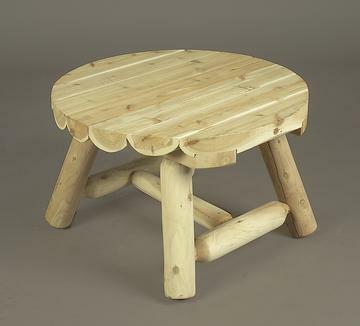 This table makes a great companion piece to the Junior Log Chair to create a childrens' dining area. For more information on the performance of Northern White Cedar log furniture click here.